Tourism is essentially and inescapably environmentally destructive. That’s why we here at TravGanic are giving you the resources to choose the tourist destinations with the smallest footprints. TravGanic is one of the first global green travel web databases. We simplify the search for finding certified green lodging around the globe. Lodging that is not only pleasing to the consumer but gives back to the environment and the community. Here at TravGanic we do the leg work for you, so you can simply just enjoy yourself without having to worry about the negative effects of your trip. We are a one stop shop for all your travel needs in the green and sustainable sector. Marrying the words Travel and Organic; TravGanic is a place for finding, learning and booking travel accommodations that have met stringent requirements for sustainability. 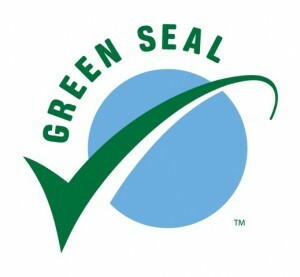 We only have properties and brands that have met certifications by certified green ratings systems. So kick back and have another organic Pina Colado because if you book with us, you know your hotel is saving water, energy, waste and maybe those endangered sea turtles you are always reading about. We will help you find lodgings, vacation pakages and destinations that are built using environmentally sound methods and or operate with alternative energy sources. Places that minimize human impact on the environment, promote resource conservation, sustain the well being of the local and/or indigenous populations and help raise visitor awareness of environmental and cultural awareness. You will see a detailed description of every brands green practices under the about us pages of the different properties. We encourage all our consumers to write reviews on all the hotels they have stayed at. If you see a certified hotel that is not living up to the standards, tell us about it. TravGanic is here to give certified sustainable travel options to consumers around the globe. We aim to inspire positive change in the hotel and tourism sectors by helping more companies reduce their environmental impacts. We will help tour groups, accommodations and transportation companies scale their businesses in a positive way by reducing waste, investing in green energy, saving water and implementing better corporate sustainability practices. 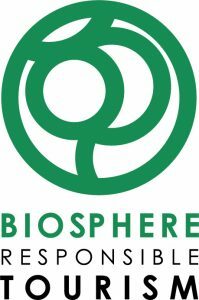 We are here to not only obtain a database of certified businesses but to help businesses in obtaining more sustainable practices. To transform the tourism sector into one of the leading green sectors in the world. We want to see a world where the majority of hotels, resorts and lodges are giving back to the community, enriching lives and lowering our carbon footprints. Although we share and work with many companies, only a select few are our partners. We are proud to work closely with the following wonderful organizations, doing great things around our world. Are you a nature hotel, vacation rental our tour company with a deep connection to sustainability. Please join our marketplace.